We are enlisted as top company involved in providing a wide range of Ozonator Plants. 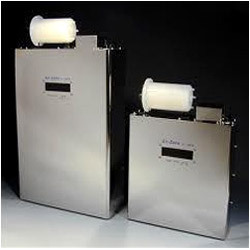 These are used in varied commercial applications and works on ozone gas. Offered plants are made using high grade material which we procure from the trusted vendors of the market. We also assure timely delivery of our products. We offer a complete range of high quality Water Ozonators to our valuable customers. These products are used for productions of clean and safe drinking water by effectively removing harmful bacteria, destroying algae growth, and other microbial impurities. These products are manufactured using supreme quality raw materials coupled with sophisticated plant machinery, to ensure superior performance and fine quality. These products are available at standard market prices.